Situated 2.6 km from Botanical Garden of Academy of Sciences in Moscow, this air-conditioned apartment features free WiFi. Aparment on Sergeya Eyzenshteyna boasts views of the city and is 6 km from Olympic Stadium. 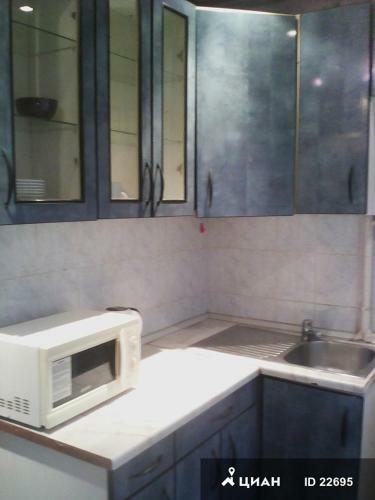 The kitchen has a microwave, a fridge and a stovetop, as well as a kettle. A flat-screen TV with satellite channels is available. Izmaylovsky Kremlin is 8 km from Aparment on Sergeya Eyzenshteyna, while Bolshoi Theatre is 8 km from the property. The nearest airport is Sheremetyevo International Airport, 21 km from Aparment on Sergeya Eyzenshteyna.